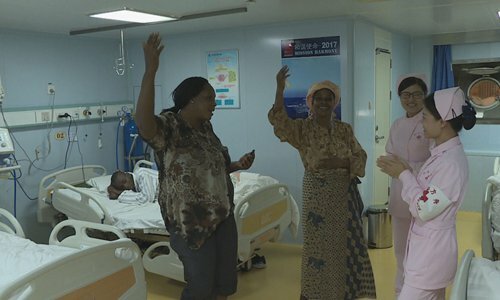 Hundreds of residents in Gabon are receiving free health care from the Chinese Navy's hospital ship, the Peace Ark, which is currently on a medical mission in the country. The Peace Ark arrived in Gabon on October 1, and provides locals free on-board medical and humanitarian services. Denise Mekamne, minister of Public Health of Gabon, said that the number of patients is continually rising, and noted that Gabonese show strong interest in Chinese medicine. In one inpatient ward, 8-year-old Mondjo is recovering from a six-hour operation that successfully separated his fingers. "I've three children. Mondjo is the oldest. He was born this way. I have found many doctors but they were unable to perform surgeries. If we go overseas for surgeries, I can't afford the cost," said Mondjo's father. "The Peace Ark saved my family." 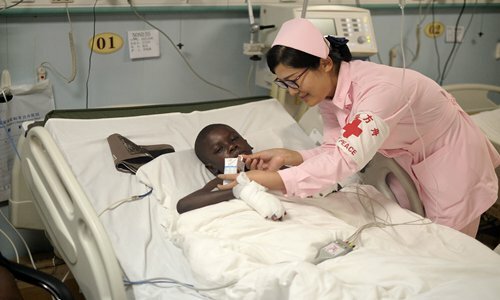 The 14-year-old Nzendong's mother said she learned about China's medical ship on television. After a physical check, Nzendong successfully underwent surgery. 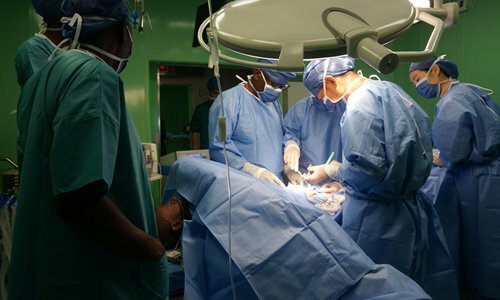 So far, staff members on the Peace Ark have examined more than 3,000 Gabonese and performed dozens of surgeries in the country. According to Xinhua News Agency, the Peace Ark is 178 meters long and has a total area of 4,000 square meters. It has 300 beds, eight operation rooms and seven health care offices. 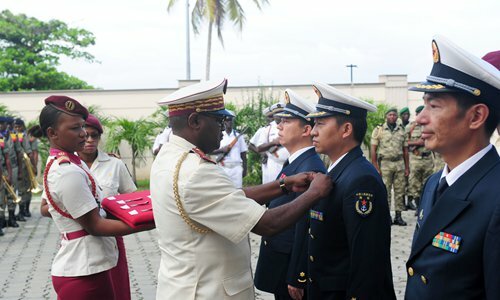 About 115 medical staff members work on board, most of whom have senior positions and come from the Naval Medical University. Between 2010 and 2015, the ship sailed to Asia, Africa, the Americas and Oceania on medical missions. Some 29 countries and regions as well as 120,000 people have received free on-board services, Xinhua reported.